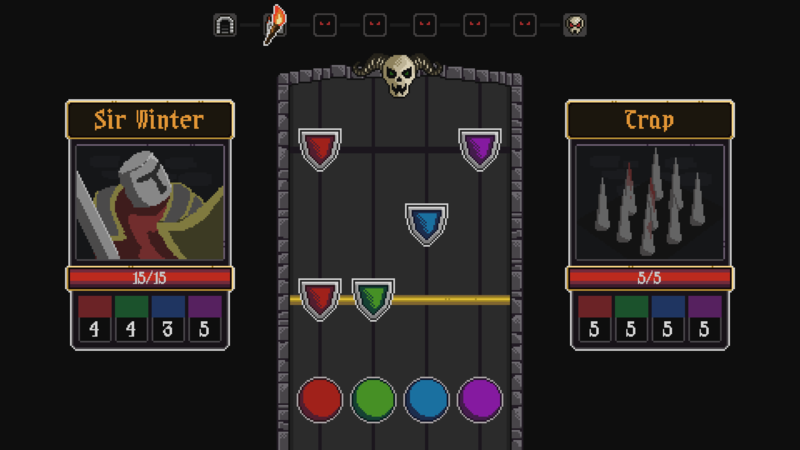 The rhythm based roguelike you never knew you wanted! 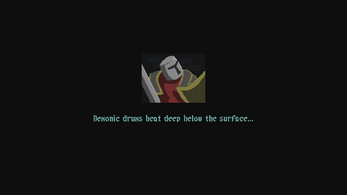 Make your way down the deadly dungeon, slashing and dodging in time with the ever present demonic beat. 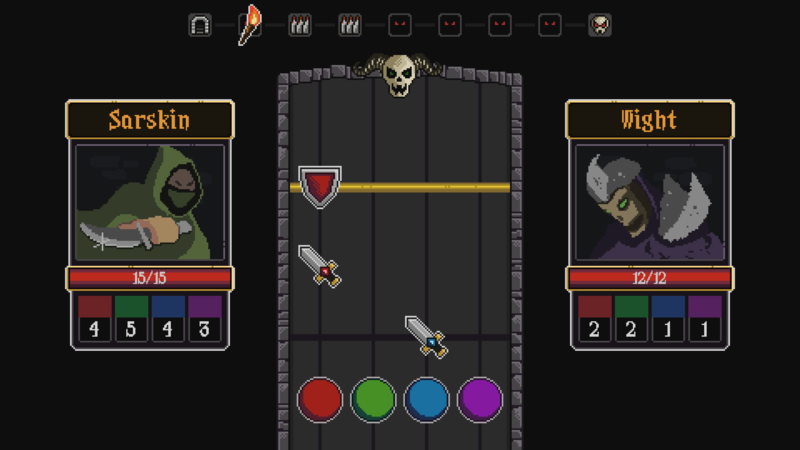 This game was made in 48 hours for Ludum Dare theme "2 incompatible genres". 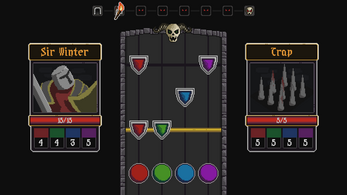 The game is played with keyboard controls D, F, J, and K. Simply tap the corresponding key as each icon falls into place. 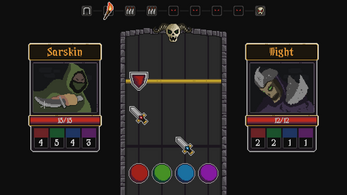 Sword icons will inflict damage to you opponent while defence icons are your chance to block incoming damage. 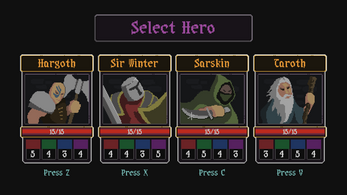 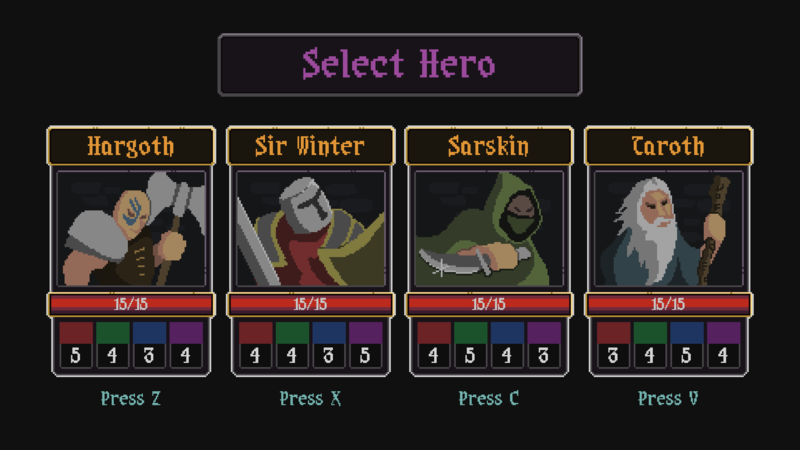 In the future I would like to rework the game to include a leveling system for the heroes and also an item loot system to help make each run feel unique.